UAE Visa: How to check UAE Visa status online? Abu dhabi visa status check is so far not available. What i know is you should not sign any cancellation papers, if you didn't received your settlement. Who will pay for all the fees while applying for the emirates ID..like medical fees and emirates ID? Is emirates id needed in visa cancellation? How long i can still stay here in dubai after the cancellation... Is there any chance that i can extend my stay here in dubai? If yes, what will the process and how much it wili cost and for how long? Tnx! Original Emirates ID is required for visa cancellation. You can stay for 29 days after visa cancellation. how can i check my new visa status in dubai? The step is described in the above post. Visit endrd.ae to check your visa status online. I have submitted all necessary documents for cancellation of my Residence visa though University. I just want to know about the status of my application (Cancellation). How can I know about my passport available for Collection or not? Can you help me with that. Brother thanks for providing website. I want to check my status of visa which starts 701/2014 which is not available in site u have mentioned. Where should I check now. How can I check my visa is original or not for UAE? How can I check my visa is original or not for uae. Original visa can be verified from the UAE Consulate or Embassy in your home country. I would like to check my Ajman Free Zone Visa, which cannot be checked by above given Website, kindly guide me how to check Ajman visa. I was exit without cancelation before 3 years..how can i conferm my visa has canceled or not. 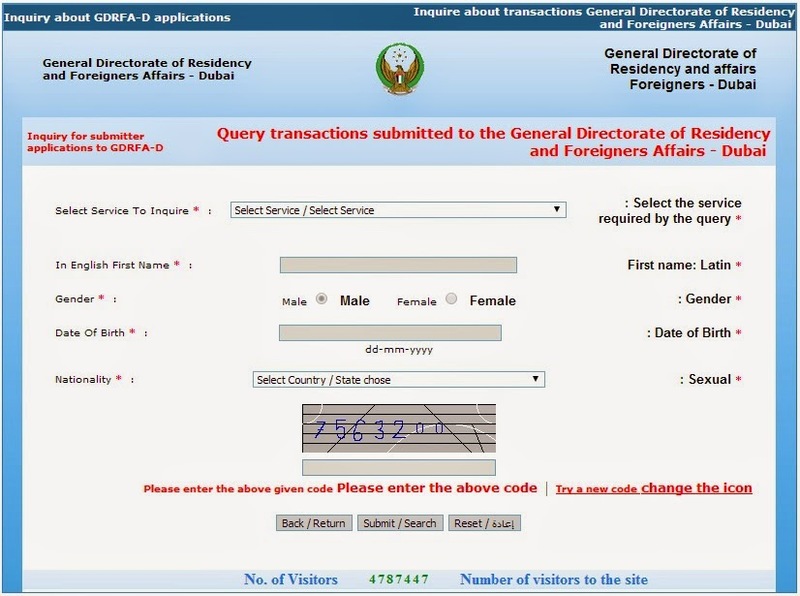 Presently Sharjah visa status is not available online.